A first look at this season's EXT version. 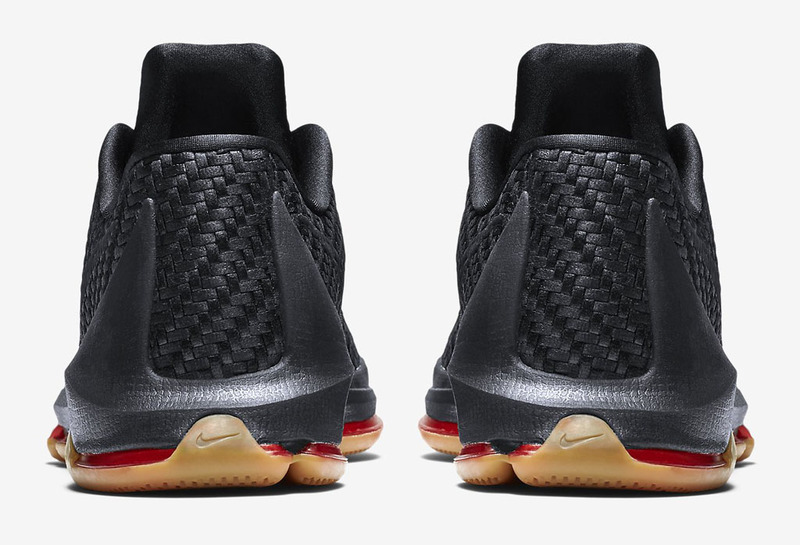 The Nike KD 8 gets its premium update on this upcoming EXT release. 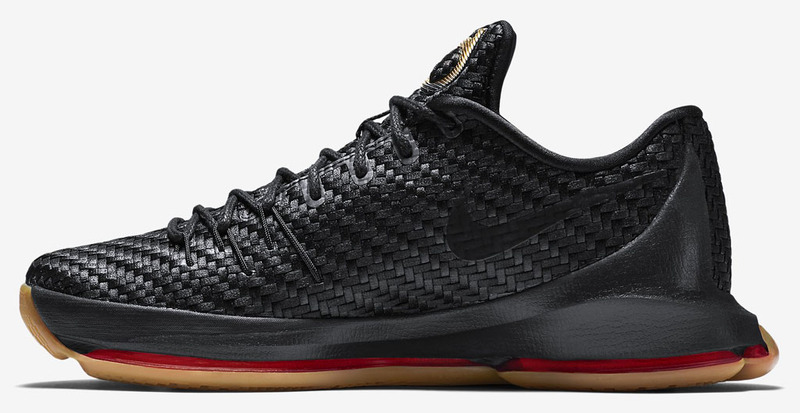 Featuring a fully woven upper, the first Nike KD 8 EXT is predominantly styled in black, with suble metallic gold applications, crimson tech and a gum rubber outsole. 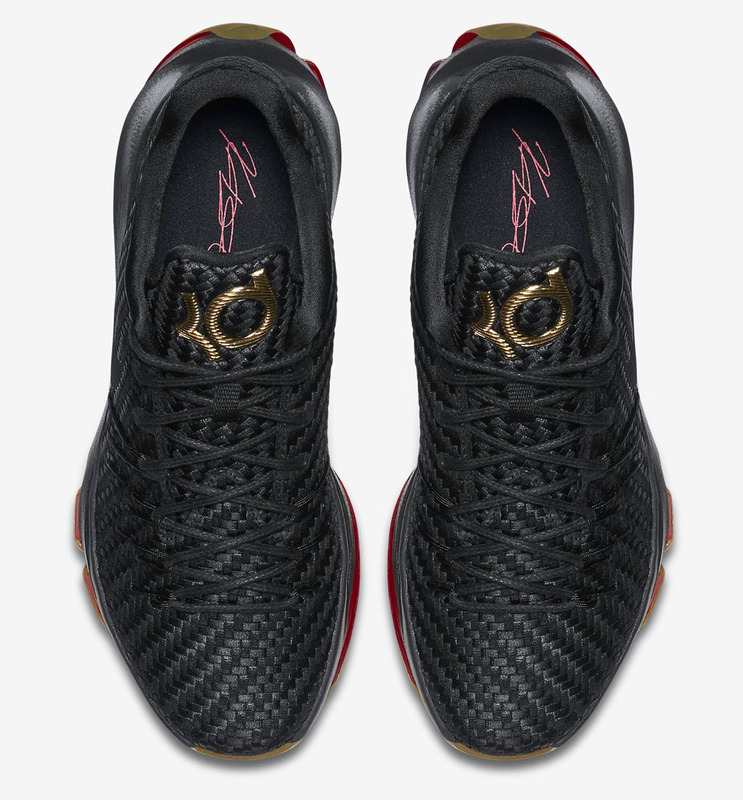 The release date is now set for next Friday, Nov. 13. 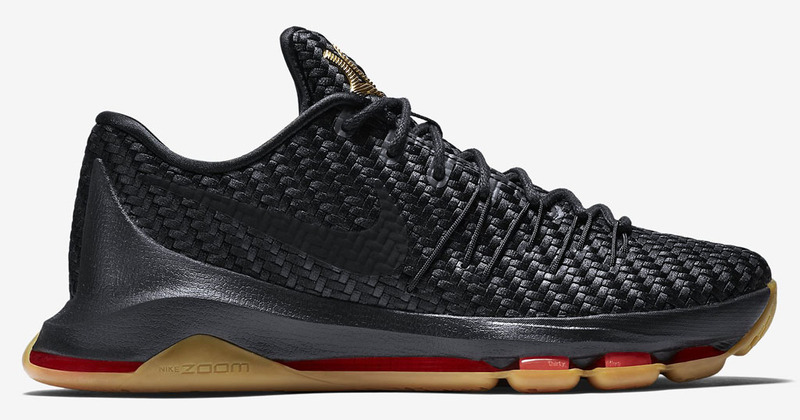 Nike KD 8 EXT "Woven Wonder"